Alma Hebbard, Gerard, Kate and Mason Montgomery celebrate Montana Montgomery’s 50th park run. Angela O’Connor practising yoga after the event. 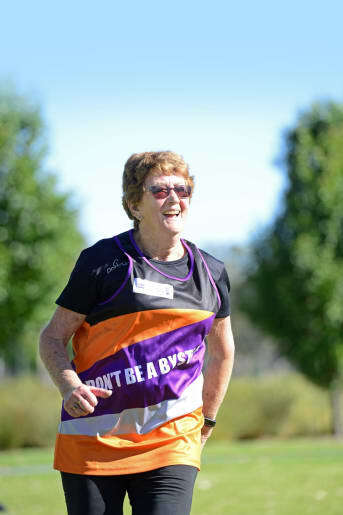 Lesley Thompson finishes the race with great delight. 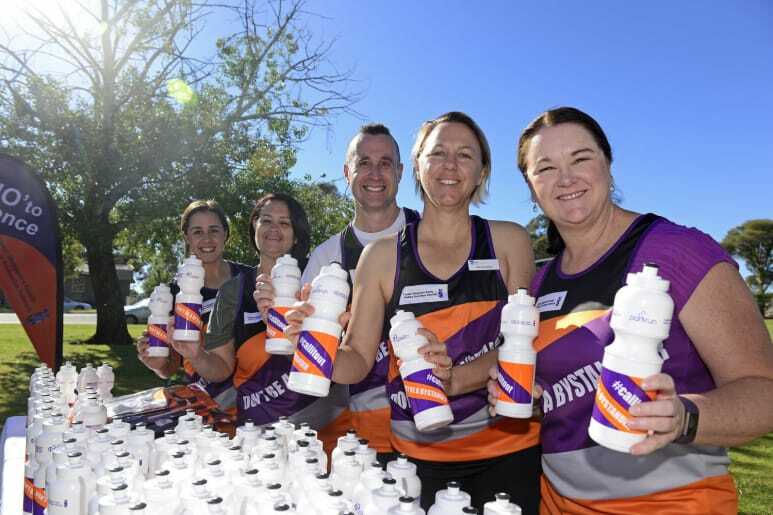 Spreading the word: Greater Shepparton Family Violence Prevention Network members Maryanne Stivactas, Narelle Best, Joel Board, Nicole Reidy and Thelma Bull. Park run event co-ordinator Allan Connolly and runner Sue Olley. Spreading the word: Greater Shepparton Family Violence Prevention Network members Maryanne Stivactas, Narelle Best, Joel Board, Nicole Reidy and Thelma Bull. 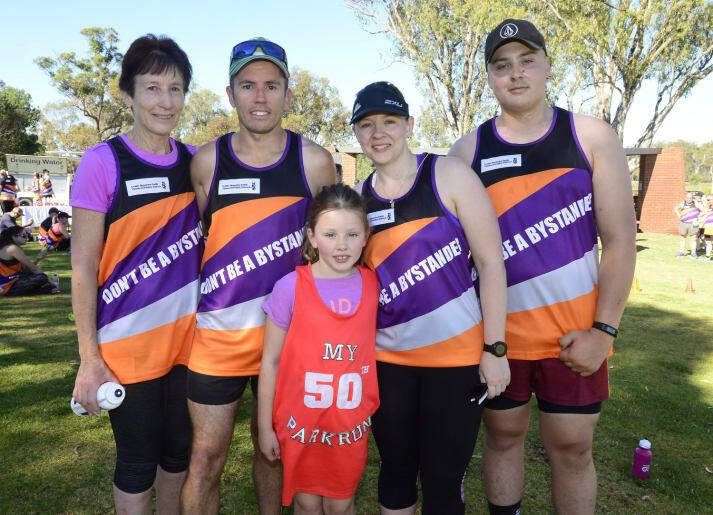 | Regular runners: Alma Hebbard, Gerard, Kate and Mason Montgomery celebrate Montana Montgomery’s 50th park run. 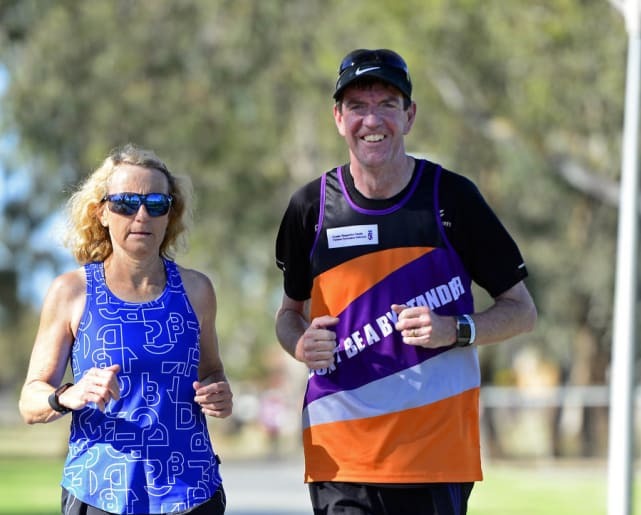 Pictures: Rodney Braithwaite | Raising a sweat: Park run event co-ordinator Allan Connolly and runner Sue Olley. 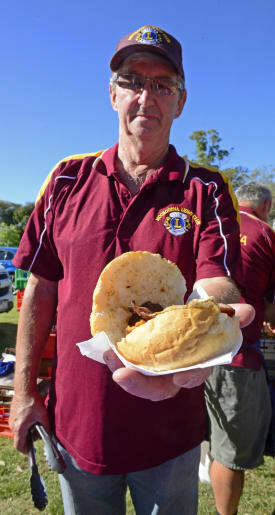 | Have a feed: Mooroopna Lions Club member Ian McMahon providing the barbecue. 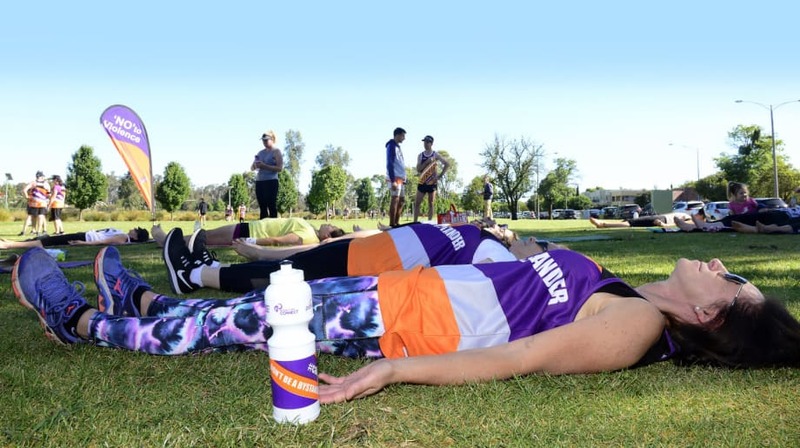 | Calming the mind: Angela O’Connor practising yoga after the event.